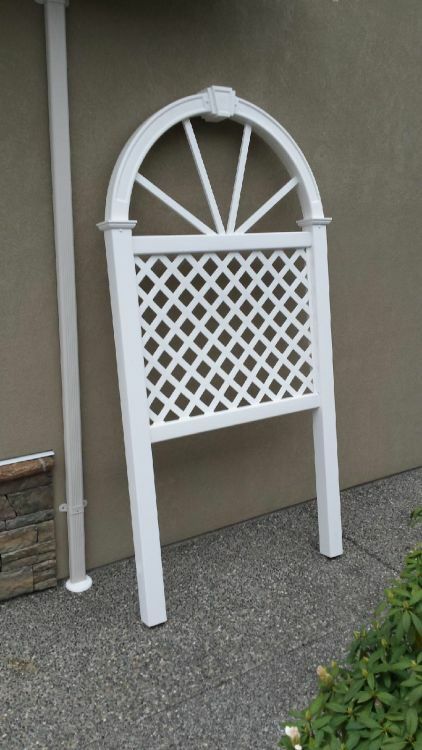 Choose from a large variety of garden accent pieces and decorative caps. 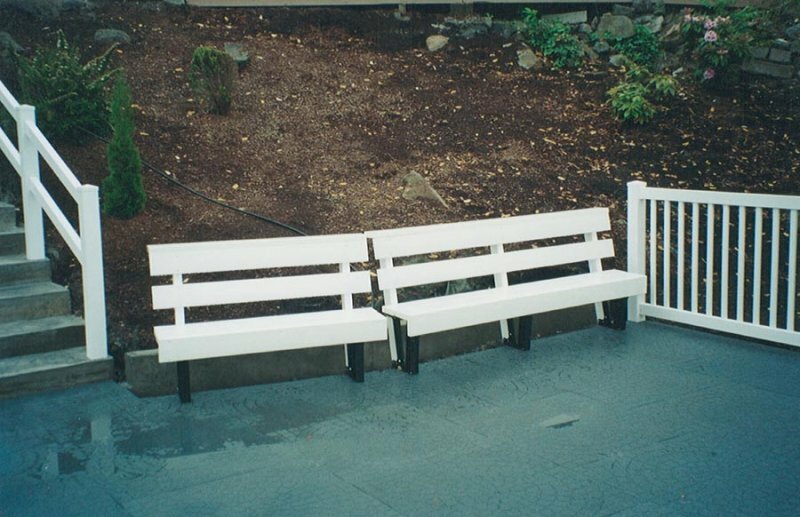 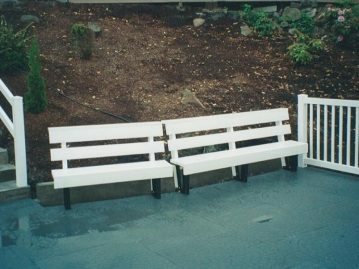 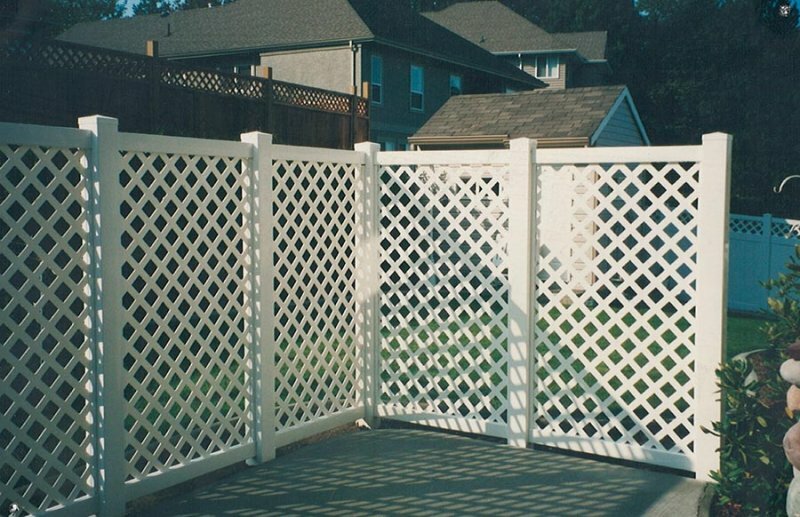 Spruce up your landscape with vinyl outdoor garden products designed to enhance the beauty and convenience of your outdoor space. 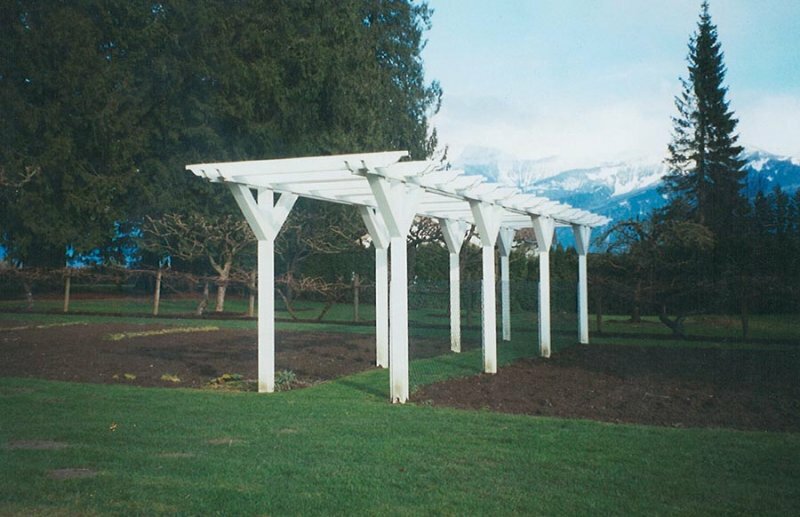 Offering the warm look of wood, these solutions are extremely durable and very low maintenance. 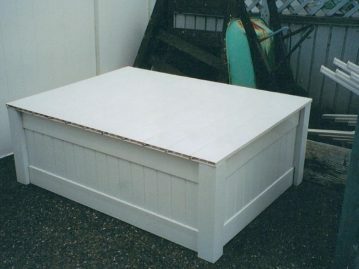 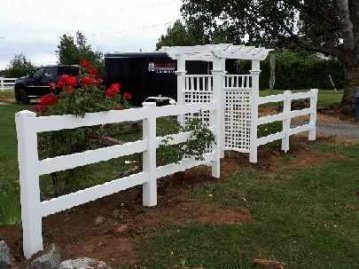 No painting, staining, peeling or splinters. 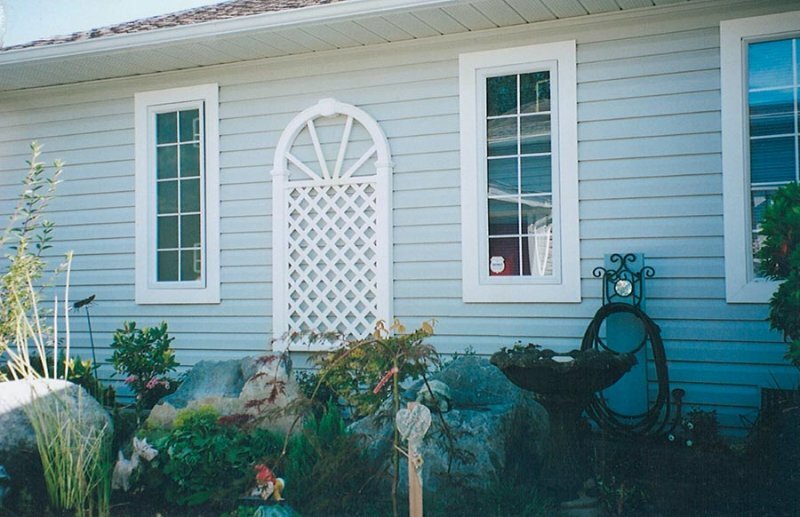 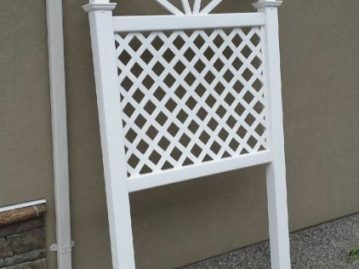 Showcase your climbing plants and create a garden wall with a beautifully designed vinyl trellis. 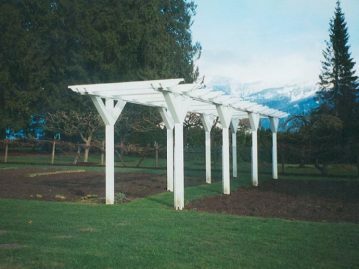 A traditional wood look with the modern advancements of vinyl make our trellis’ strong enough for climbing plants, flowers or vegetables. 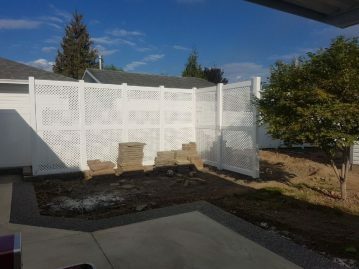 Fill in the spaces any way you wish for privacy or leave it open and enjoy the beautiful framework. 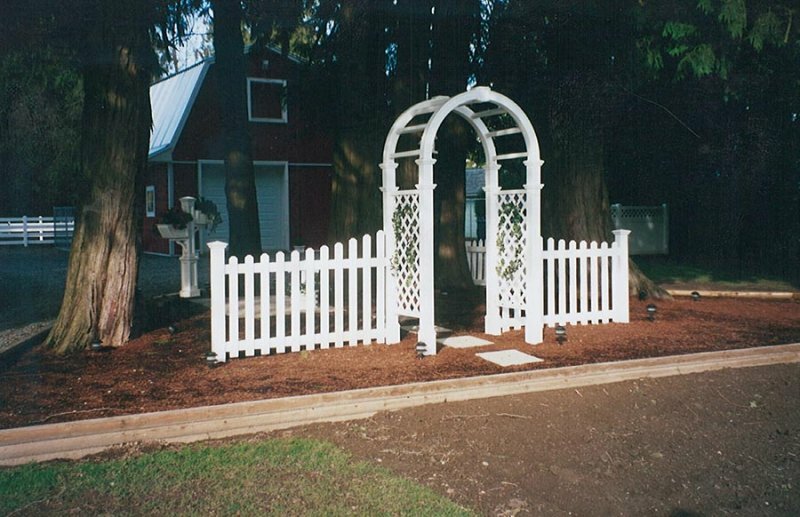 Bring a gentle accent to your yard that incorporates past and present. 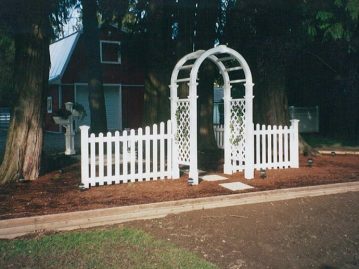 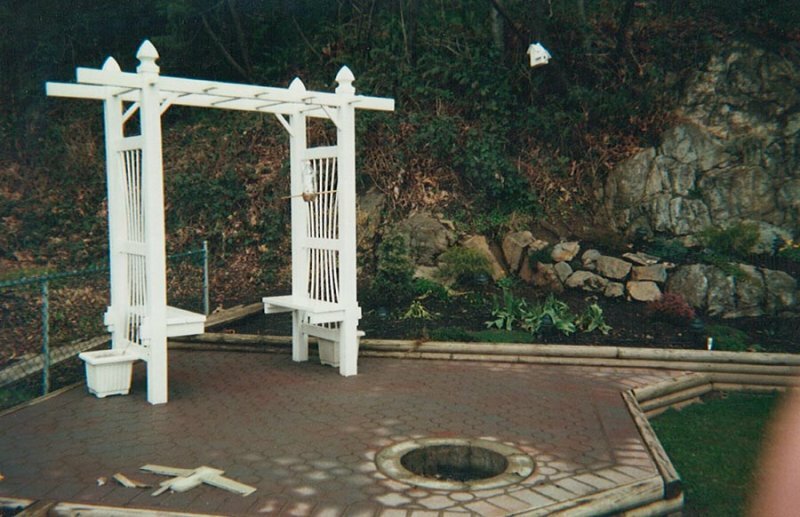 Beautifully designed, vinyl arbors enhance gardens or pathways. 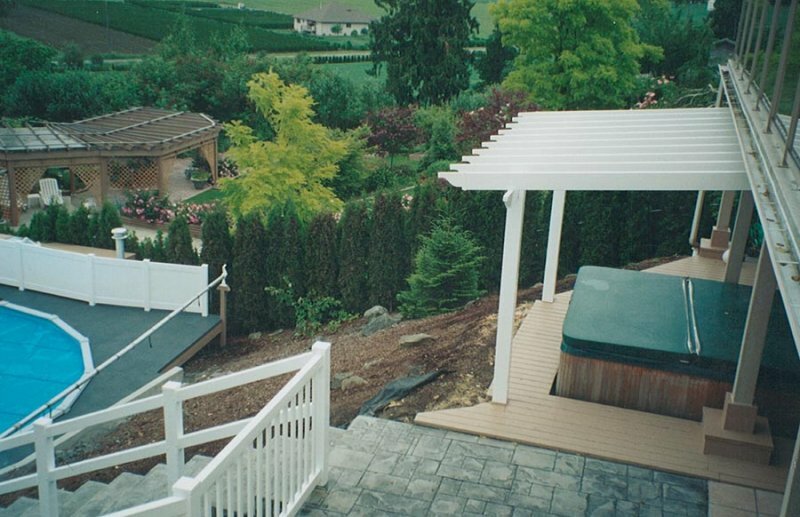 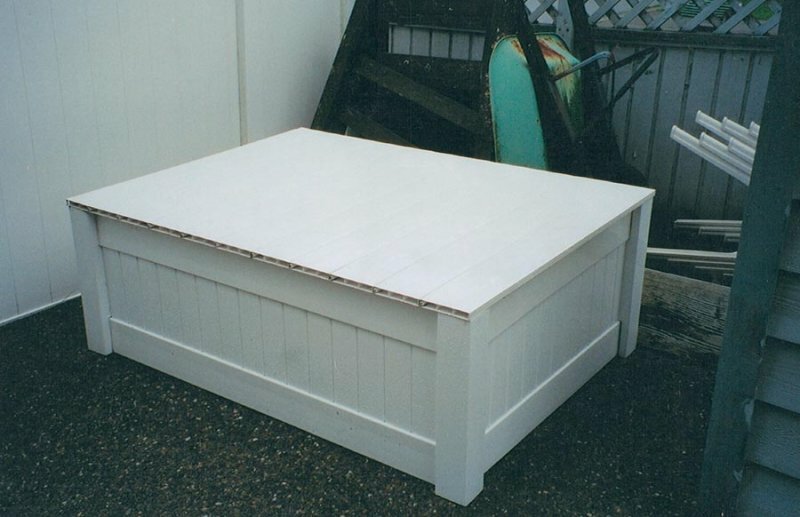 Create the classic look of wood with premium weather-resistant vinyl. 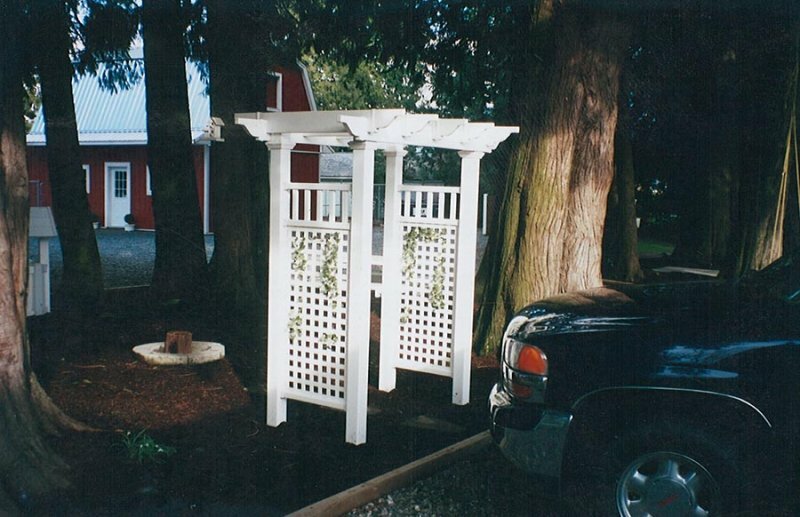 Freestanding vinyl patio covers or pergolas can be erected anywhere in your yard. 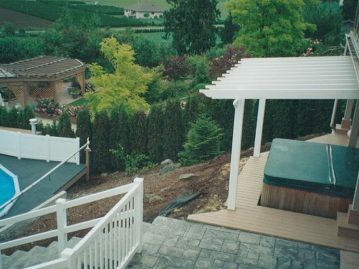 Choose your favorite place to create an outdoor living space that is comfortable and offers years of enjoyment. 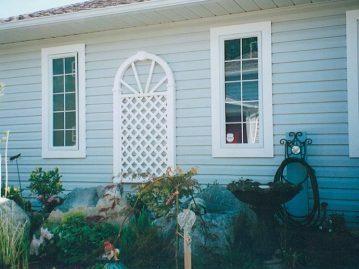 A variety of design options and decorative caps are available. 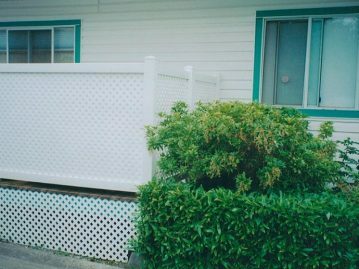 Still don’t see that perfect something that catches your eye? 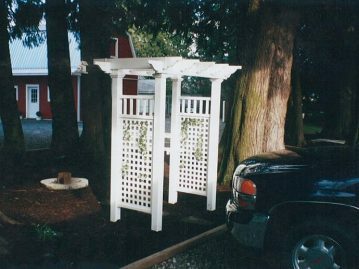 Custom is what we specialize in. 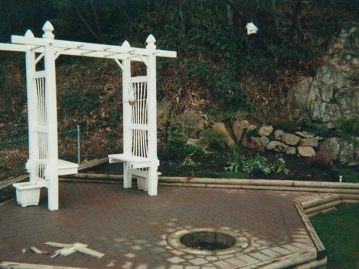 You dream it and we will build it! 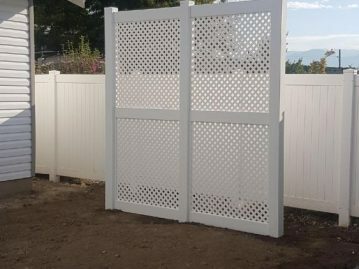 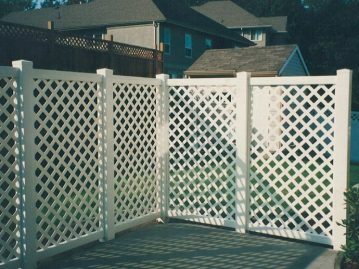 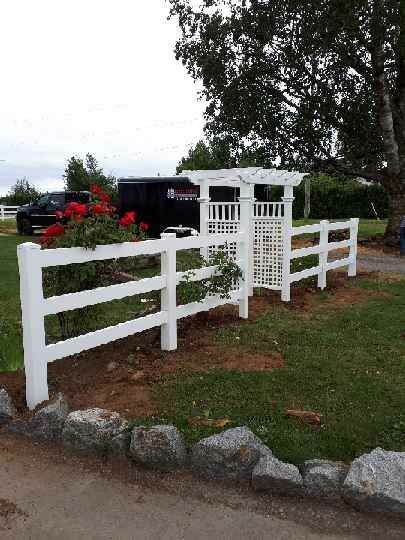 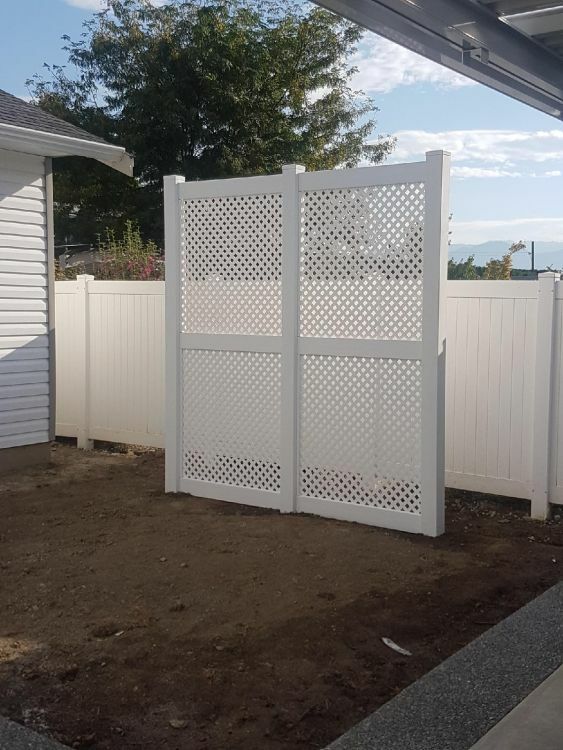 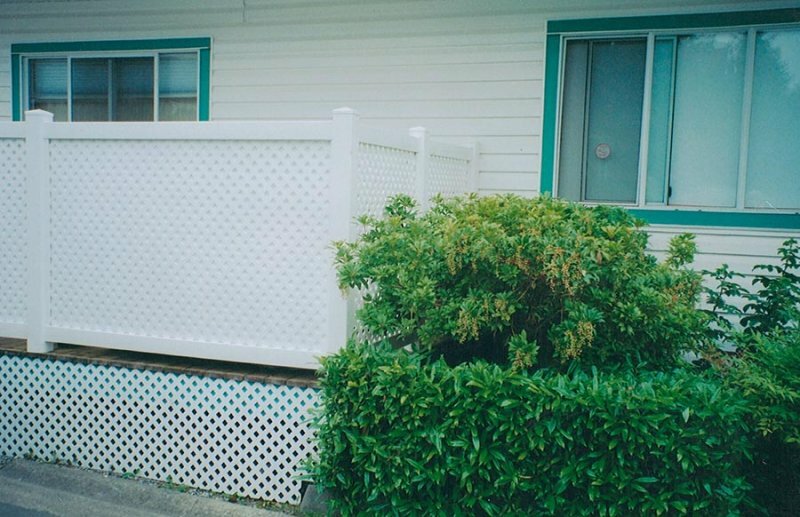 Call Classic Vinyl Fencing today to begin your yard transformation with quality vinyl accent pieces.